Chicago is nothing short of exhilarating splendor. At every turn there is a new experience waiting exhilarate you, a new restaurant waiting to satisfy you, and a new production waiting to transform you. Let’s celebrate the spring time and all that Chicago has to offer by catching these much-awaited plays in the heart of this magnificent city. ON YOUR FEET! congas its way back to Chicago where it originated its Pre-Broadway engagement the summer of 2015. 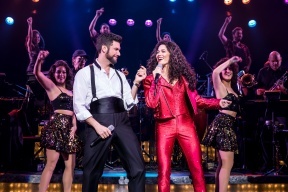 Based on the life story of seven-time GRAMMY® winning international superstar Gloria Estefan and her husband, 19-time GRAMMY® winning producer-musician-entrepreneur Emilio Estefan, ON YOUR FEET! will play Broadway In Chicago’s Cadillac Palace Theatre (151 W. Randolph) for a limited three-week engagement March 21 through April 8, 2018. For more information, visit www.BroadwayInChicago.com. 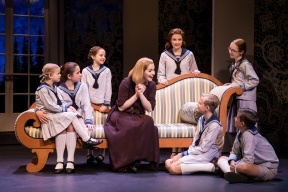 Broadway In Chicago is pleased to announce individual tickets for a brand new production of THE SOUND OF MUSIC, produced by NETworks Presentations, are currently on sale. THE SOUND OF MUSIC features music by Richard Rodgers, lyrics by Oscar Hammerstein II, book by Howard Lindsay and Russel Crouse, suggested by The Trapp Family Singers by Maria Augusta Trapp. The beloved musical story of Maria and the von Trapp Family will once again thrill audiences with its Tony®, Grammy® and Academy Award®–winning Best Score, including “My Favorite Things,” “Edelweiss” and the title song. THE SOUND OF MUSIC will play Broadway In Chicago’s Cadillac Palace Theatre (151 W. Randolph) for a limited one-week engagement, April 10 – April 15, 2018, as part of a North American tour. For more information, visit www.BroadwayInChicago.com. Chicago Shakespeare Theater (CST) announces the cast and creative team for the theatrical event of the season: Macbeth, adapted and directed by Teller (of Penn & Teller) and Aaron Posner—the celebrated creative duo behind CST’s The Tempest, winner of the Jeff Award for Best Production in 2015. 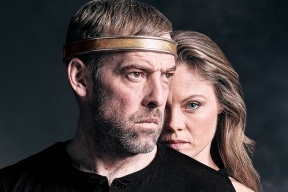 Starring Ian Merrill Peakes as Macbeth and Chaon Cross as Lady Macbeth, Shakespeare’s psychological thriller immerses audiences in a world of dark magic and ambition, delving into the twisted psyches of the ultimate power-hungry couple. Macbeth will run April 25th through June 24th, 2018. For more information, visit www.chicagoshakes.com/macbeth. Artists from the bands Postmodern Jukebox, tUnE-yArDs, and Diane Coffee join Broadway talent for Lyric Opera’s North American premiere of Timothy Sheader’s explosive Olivier Award-winning production of Andrew Lloyd Webber’s rock opera Jesus Christ Superstar, presented from April 27 to May 20, 2018 at the Lyric Opera House, 20 N. Wacker Drive, Chicago. For more information, visit www.jcsuperstar.org. PRETTY WOMAN: THE MUSICAL premiered in Chicago on March 13th at Broadway In Chicago’s Oriental Theatre (24 West Randolph Street, Chicago, IL) for a strictly limited 5-week engagement. Based on one of the most beloved romantic comedies of all time, this modern spin on Cinderella is the story of Vivian, a spirited diamond in the rough who dreams of a better life. A star-crossed meeting with Edward, a shrewd corporate raider from New York who is lost in Hollywood, turns a simple business deal into a week of romance and a journey of self-discovery for both Vivian and Edward. With a wholly original musical score by Bryan Adams and Jim Vallance, this contemporary theatrical take on the iconic love story, will sweep a new generation off their feet and make them believe in the power of “Happily Ever After.” For more information, visit www.BroadwayInChicago.com. Photos Courtesy of Broadway In Chicago, Lyric Opera of Chicago, and The Yard at Chicago Shakespeare Theater.